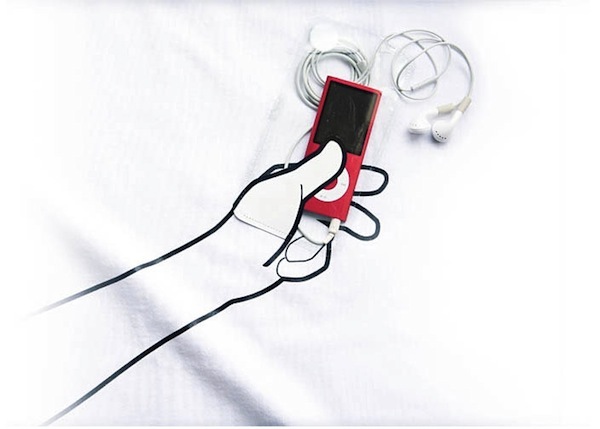 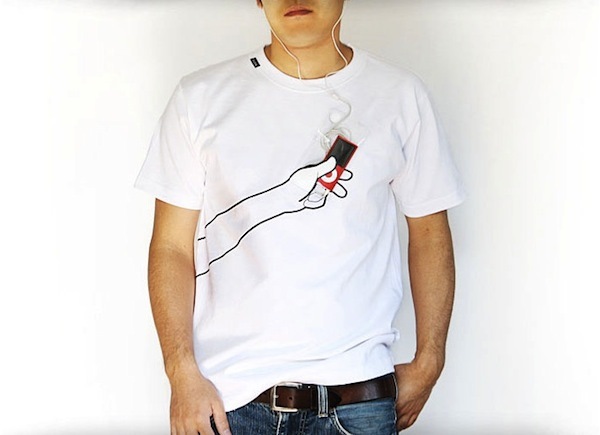 Japanese label Inink has created a fun conceptual design of a T-shirt that literally gives you a hand by helping you hold on to one of the many mobile devices and accessories that one cannot leave home without these days. 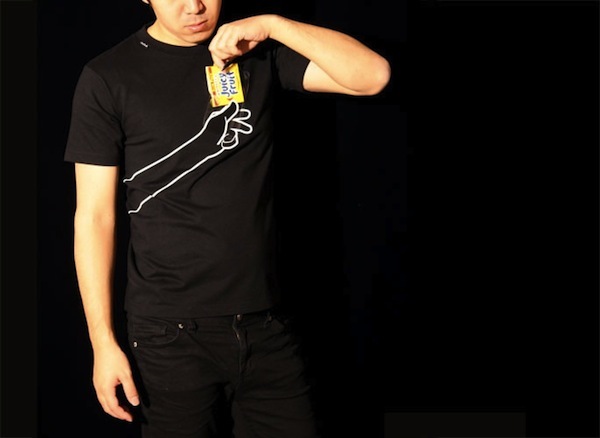 The ‘Hand T-shirt’ is a simple idea that uses clever graphic design to create the illusion that a 2D, illustrated hand is capable of carrying your mobile phone, keys or even a pack of gum. 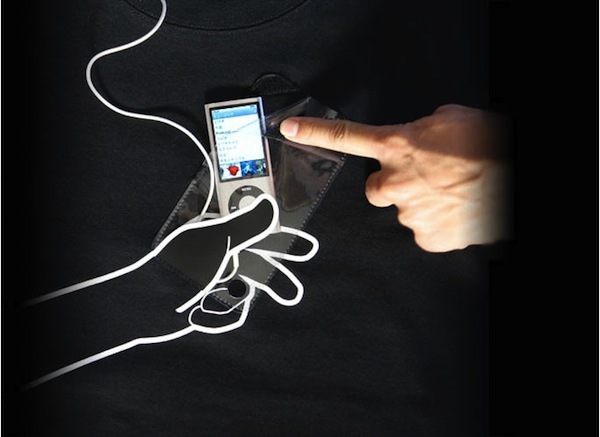 In fact, the T-shirt is equipped with a transparent pocket—simply place whatever you need to store into this plastic pocket. 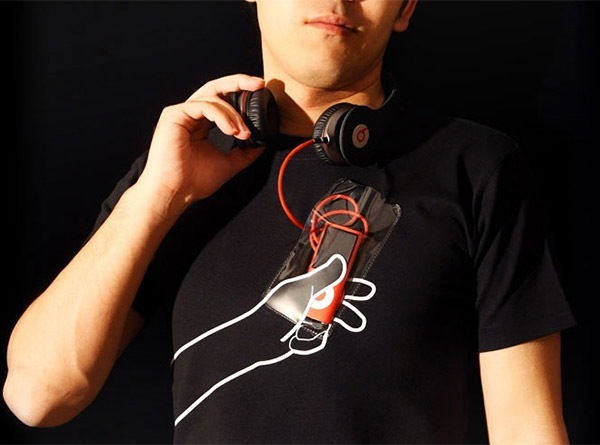 This pocket can be closed with Velcro—there are even little holes at the bottom to allow you to plug in your headphones cords. 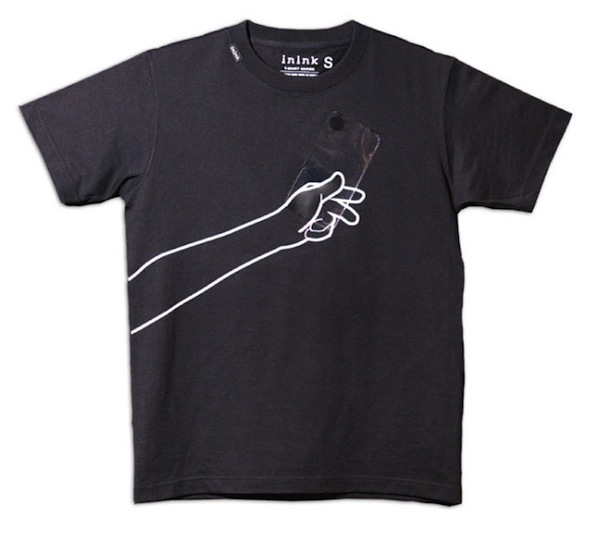 Pick up this Hand T-shirt for US$59 at Generate.